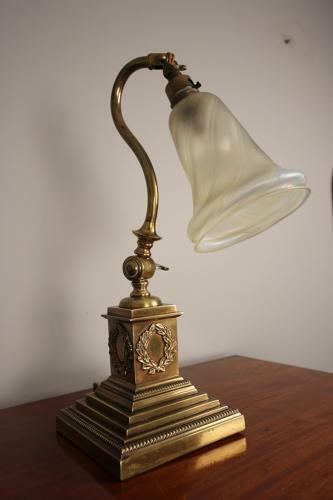 A high quality Edwardian Desk Lamp having full adjustment to both the stand and light shade. Having a heavy brass stepped base with a swan neck and the original glass shade. In super original condition throughout. English, Circa 1910.